The nurses are engaged in the most important battle in years. A victory for them will encourage other nurses to come back home from Britain or Australia– and we will all get a better health service. Defeat will lead to a calamitous fall in morale. The nurses’ case is perfectly reasonable. 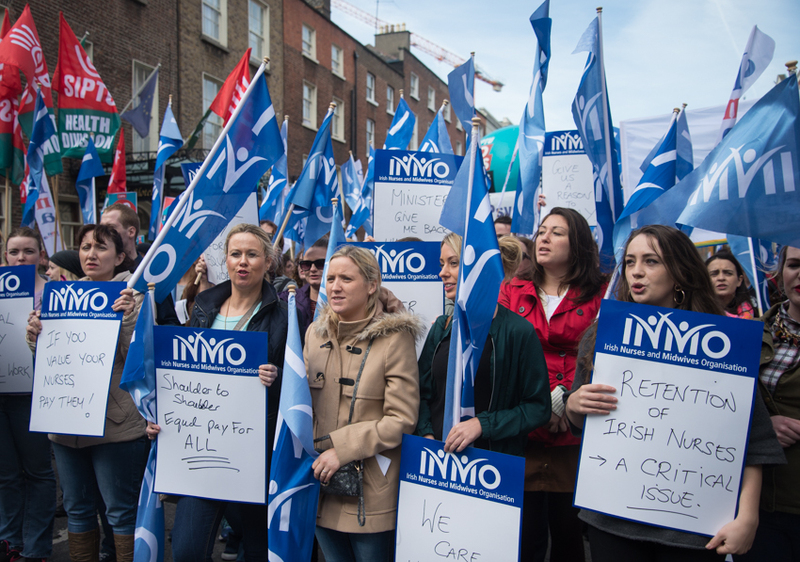 Nursing has become a degree subject yet nurses earn €7,000 less than equivalent posts. They are on a starting wage that is just one third of a TD’s salary and it does not stretch far enough to cover the costs of living. All of this means that thousands of trained nurses leave Ireland and so the HSE only gets one application for every four vacancies. This in turn means more stress and over-work for the nurses who stay. The government claims it has no money to pay the nurses. 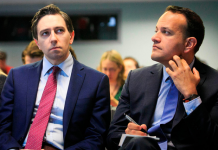 But Health Minister, Simon Harris is responsible for the overspend on the National Children’s Hospital that will cost more than €2 billion. That will be a five-fold increase on the original estimate of €400 million. It is time to end this hypocrisy and we should all rally around the nurses. Solidarity will be the key because it is difficult for nurses to strike. Every day they are on the picket lines means even more stress as they worry about patients whose operations have been cancelled. They know that the media will eventually turn on them and point to accidents. This is the same media which often ignore the chaos that currently exists in our hospitals as a result of cutbacks. 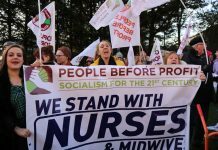 People Before Profit are calling major meeting to discuss how the public can show solidarity with the nurses The meeting will feature the leaders the INMO and the PNA as well as two nurses who will be standing a People Before Profit candidates in coming elections . We urge you to attend this important meeting..
Download the petition and take it around your workplace or community. 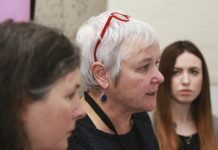 Once you have gained enough signatories, organise a delegation to bring it to the nurses picket line on the day of the strike. OR scan it and send it back to us at [email protected] and we will bring in to the nurses. Next articleWhy Does The State Pamper Sean Mulryan?